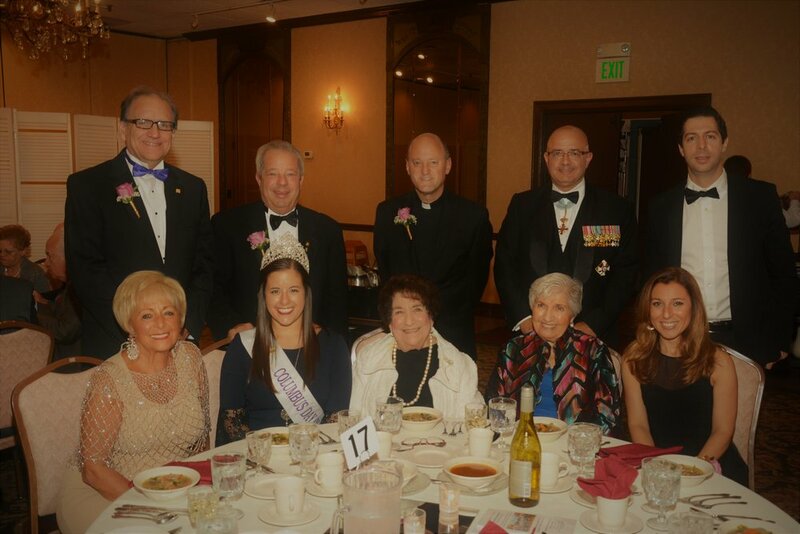 Celebrating its 94th Annual Columbus Banquet, the Grand Lodge of Illinois/Wisconsin, Order Sons and Daughters of Italy in America, hosted the event at the White Eagle Banquets in Niles, Illinois on October 6, 2018. Margurite Rowley, Columbus Banquet Chair, welcomes the guests and introduced the Master of Ceremony for the evening, the Honorable Anthony Calderone, Mayor of Forest Park, Il. The MC introduced the Grand Lodge Officers, the Deputy Consul of Italy, the Columbus Day Queen, and our honored award recipients as they entered the hall. Highlighting the evening were the presentations of the 2018 Columbus Patriot Award and the 2018 Humanitarian Award. In addition, the Illinois Sons of Italy Foundation awarded seven scholarships to Italian-American students who are continuing their education. 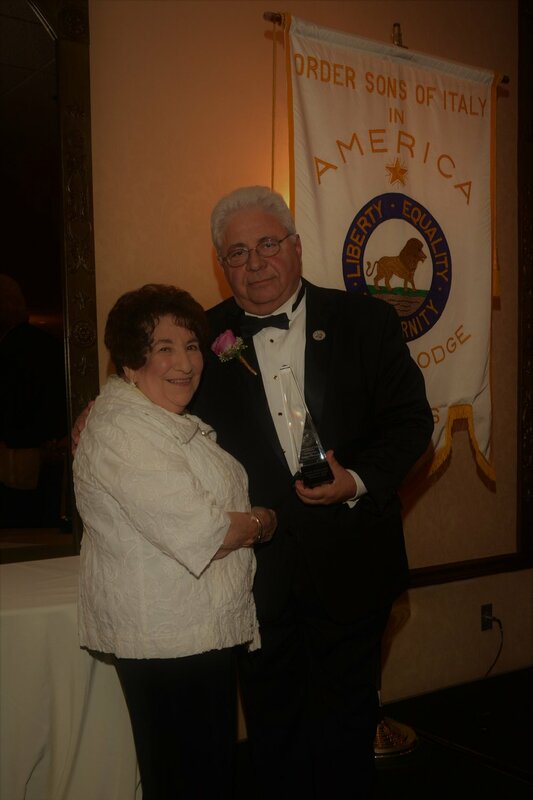 Receiving the Columbus Patriot Award was the Honorable Angelo “Skip” Saviano, President of the Village of Elmwood Park, Illinois. He has been a proven and trusted leader in the Elmwood community for over 25 years. He was honored for his many years of public service and leadership in the Illinois House of Representatives, where he recently retired as Assistant Minority Leader. He has sponsored and supported legislation to aid the elderly, children and people of all backgrounds. 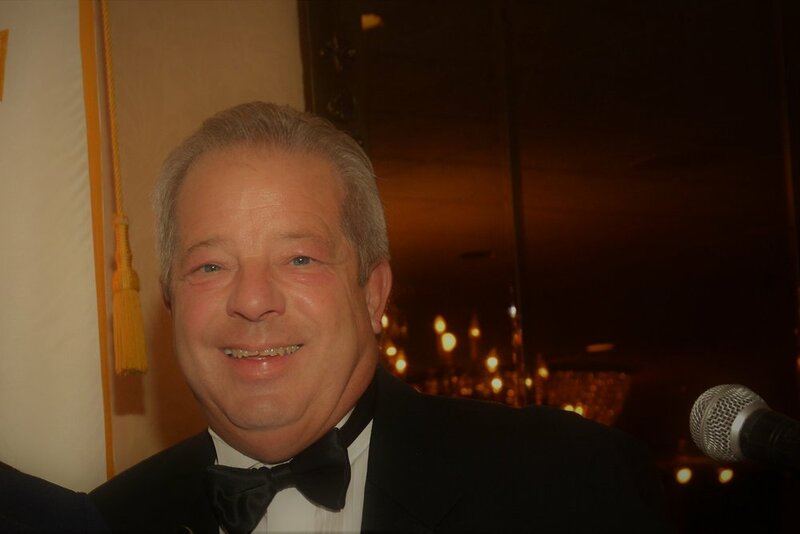 Saviano is known as a staunch advocate for senior citizens and individuals with special needs. He is recognized as a champion for individuals diagnosed with Autism Spectrum Disorder. He is a strong supporter of public safety. The organization has made significant contribution in the areas of education, community services, good relations in the community, and charitable contributions. In addition to serving as president of IAET, he also serves as Executive Director for Casa Italia and a Board Member of the Columbian Club. He is a tireless giver of his time and energy in helping in the community and is involved in supporting many worthy and public organizations. Lodge #1722 scholarship; Nicole Fanelli, daughter of Reid and Dalia Fanelli, received the First National Bank and Bank of Bourbonnais scholarship; Kyle McNamara, son of Michael and Kelly McNamara received the Illinois Sons of Italy Foundation and the James DeLeo scholarship; and Nicole Maimon, daughter of Ira and Barbra Maimon received the Marina Cartage, Inc. scholarship. Attending the banquet were Ms. Manuela Principe, Deputy Consul of Italy, Elizabeth Cavalieri-Konopacki, Columbus Queen, JoAnn Serpico, Executive Director of JCCIA, Rev. John Belmonte, OSIA Chaplain, Rev. Anthony Pizzo, IAET Chaplain, Grand Lodge Council Officers, lodge presidents and members from the filial lodges. Vito M. D’Ambrosio, President of the Italian American Executives of Transportation, was honored as OSIA’s 2018 Humanitarian. D’Ambrosio was born in Ricigliano, Salerno, Italy and came to America in 1958 at the age of 4. Mr. D’Ambrosio became president of IAET in 2004 and remains as current president. Under his energetic leadership and organizational skills, IAET is actively engaged in the community. Entertainment for the evening was provided by Nino Folino. Mr. Folino’s performance of the American and Italian anthems was outstanding. Leonardo da Vinci Award of Excellence Gala History the Grand Lodge instituted this event in 2002 to acknowledge and award Italian and Italian Americans, in our communities, who have distinguished themselves in their respective fields of Artistry, Communications, Community Leadership, Education, Business,Law, Medicine, etc.The reception is similar to the Oscar and Golden Globes, and combines great Italian food and wine together with live entertainment and heartfelt acceptance speeches. This event takes place the first Sunday in May. 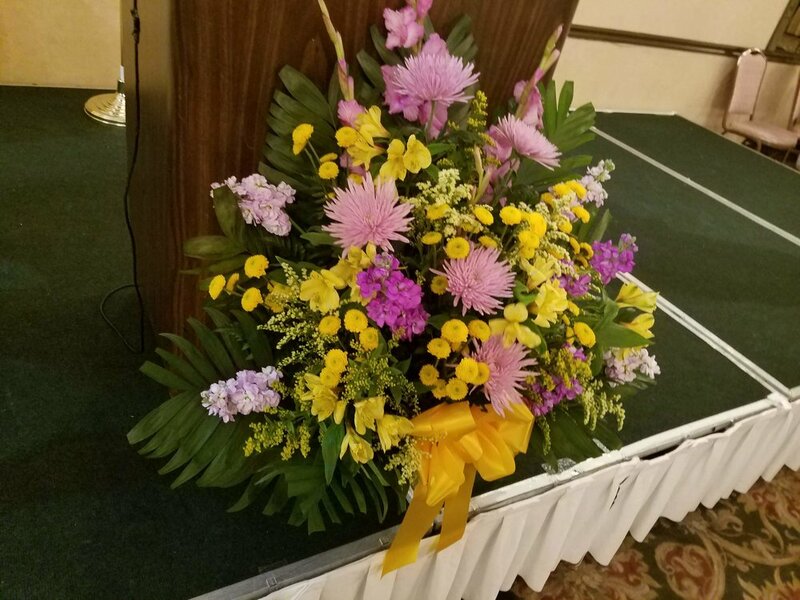 Eleven distinguished professional Italian Americans were honored with a Leonardo da Vinci Award of Excellence at the 17th Annual Reception and Ceremony on May 6, 2018 at the Roma Lodge in Racine, Wisconsin. Master of Ceremony and event Chair was Frank Schiro, Grand Lodge 1st Vice President. Schiro introduced Richard R. Della Croce who gave a wonderful performance as he sang both the American and Italian national anthems. Grand Lodge President Marie Marsalli was introduced and welcomed the honorees and guests. In attendance at the event to honor the recipients were OSDIA’s National President Vera Girolami from California, National 5th Vice President Richard R. Della Croce, the Honorable Scott Walker, Governor of the State of Wisconsin and the First Lady of Wisconsin, Tonette Tarentino Walker, who was honored for her community leadership. In the spirit of da Vinci, the Order recognized the successful and outstanding accomplishments of excellence to our society by the eleven honorees in their various paths and fields of life’s pursuit. In presenting the award to the recipients, President Marsalli stated: “Our honorees are truly professionals and walk among giants in their chosen field. They are outstanding and respected citizens in their community. They are profoundly proud of their Italian heritage, its traditions and culture. We wish them continued success in their endeavors”. The prestigious da Vinci Award of Excellence was presented to: Anthony J. Bruno (Community Leadership); Joseph T. Emanuele (Community Leadership); Deacon Russell Missureli (Community Leadership); Tonette Tarantino Walker (Community Leadership); Prof. Joseph Mangiamele (Education); Representative Peter Barca (Government); CJ Martello (Journalism); Honorable John J. DiMott (Jurisprudence); John Salza (Law); Luigi Caira, D.D.S. (Medicine); and, Kathryn A. Occhipinti, M.D. (Medicine).Guests enjoyed a delicious noon buffet featuring Italian dishes prepared by the Roma Lodge chefs. Home made Italian biscotti, cannoli and fresh fruit were served as dessert. Entertainment was provided by DJ John. Photos by Tim Townsend. COLUMBUS BANQUET AND FOLLOWING MONDAY’S FESTIVITIES the official holiday of the Order is Columbus Day. The Grand Lodge has been hosting its annual banquet since 1924. We honor a humanitarian and a Columbus patriot of the year at this banquet. Scholarships are also awarded to high school graduates from the Grand Lodge at the banquet. The banquet is the holiday’s kick-off event for the local Italian Community.We continue our Columbus celebration by attending a high solemn Catholic Mass, at our Lady of Pompeii Church, on the Monday morning of Columbus Day, followed by a wreath laying ceremony at the Columbus Statue at nearby Arrigo Park in Chicago.Our festive culminate with our marching in the annual parade in downtown Chicago, with our members, flags and banners.